Boring grey drab day - can't think of anything useful to do - that's a signal from the skies above to paint my nails. 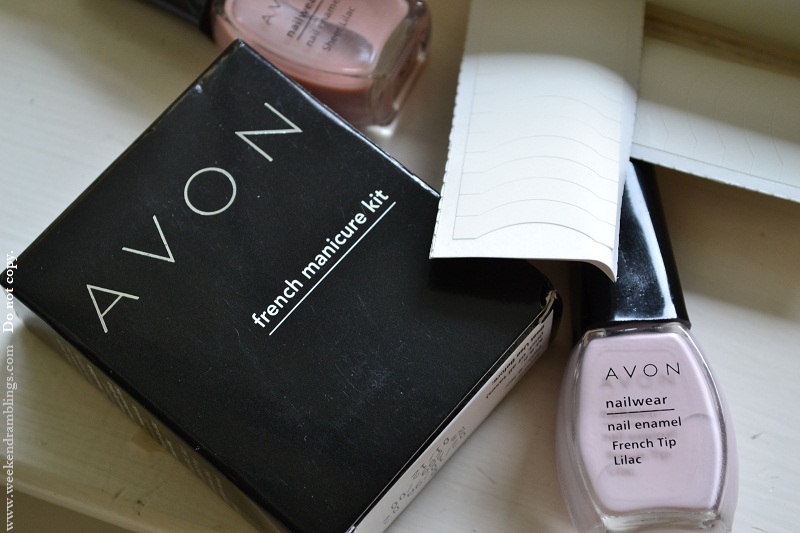 This time, though, I decided to try something new and dug out the Avon French Manicure Kit. 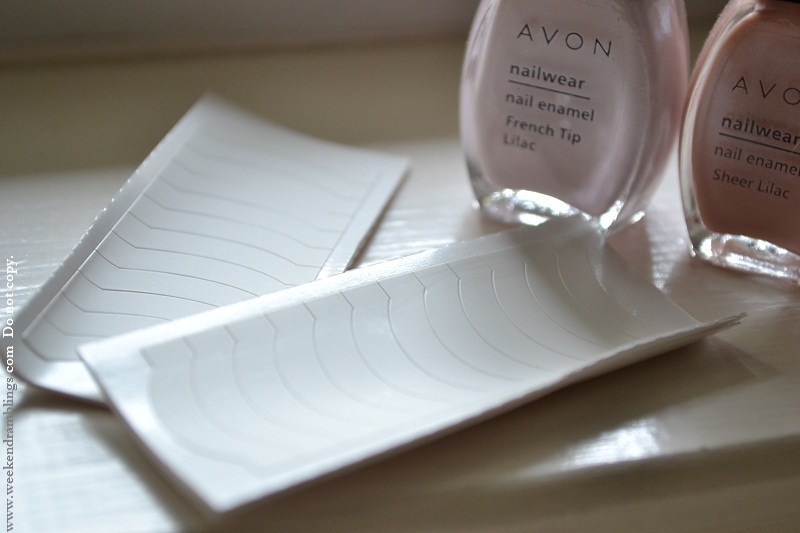 Avon French manicure kits come in two shades: French White and French Lilac. 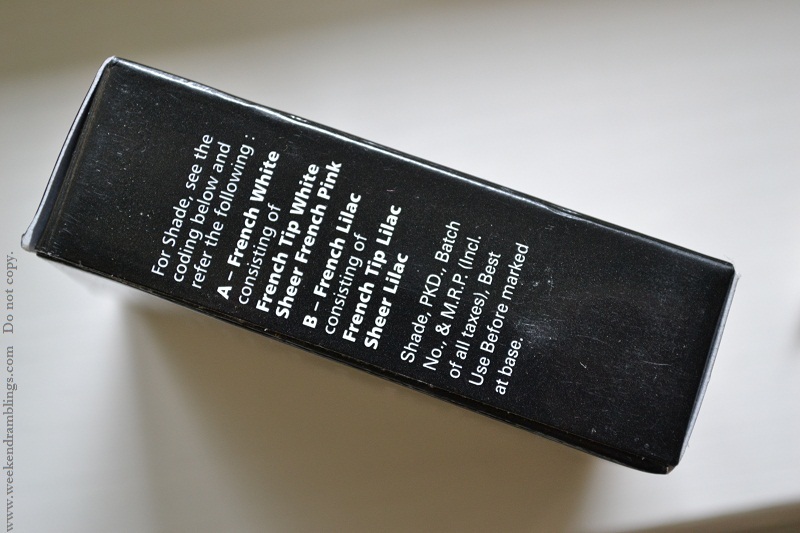 I picked the French Lilac version - have tried white tips with Revlon earlier and found it just too fake looking. I know it has to be a combination of not-so-great-looking fingers/nails and bad application, because it looks awesome on a lot of people, but at any rate, I decided to try something else this time and picked lilac. 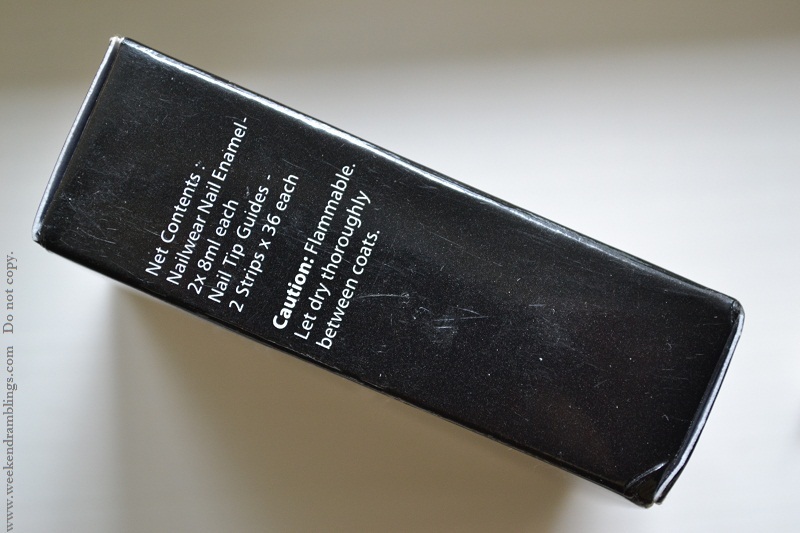 Each pack consists of two nail polishes and nail strips/guides to help in getting the perfect, neat French tip. Cost: Rs. 289 (full price). Contact an Avon representative or check Avon India's website for discounts/availability.